If you, or a loved one, have been arrested in Plant City for the offense of DUI you will need the services of a qualified dui defense team. The law offices of Finebloom, Haenel & Higgins have a team of dui attorneys in Plant City available to represent you. If it is not your first dui arrest, the penalties you face could increase to up to five years in prison and a $4000 fine!! There is also the embarrassment of spending the night in jail, the cost of bailing yourself out of jail, and the necessary court appearances that can interfere with school or work. Your insurance will increase and your financial aid or professional license can be suspended. Contacting a Plant City dui lawyer at the time of your arrest can help. When you call an experienced Plant City dui attorney while at the jail, the attorney can assist with bond arrangements. The dui attorney may be able to convince a judge at first appearances to release you without posting a bond. The dui attorney can make appearances in court on your behalf so that you do not have to miss work or school. When you hire a dui attorney to assist you with your Plant City Dui, that attorney is there to walk you through the process. The dui attorney will explain every step and situation that you will encounter with your Plant City dui. The dui attorney will be the only person throughout the process looking out for you and only you. This enables you to make the best decisions for you about how to proceed in your case. There are other advantages to hiring a dui attorney. When you hire a dui lawyer in Plant City to represent you right away, the dui attorney can start preserving evidence in your case. This can include videos or other evidence from the jail that may not be able to be kept for long periods of time. The dui attorney can then use this evidence to build your defense. There are several other reasons to hire a Dui attorney. Plant City has strong DUI enforcement. The officers are trained to make several arrests. The State has unlimited resources to prosecute you after your arrest. If you do not have a qualified dui lawyer, Plant City officers may be able to introduce evidence against you that should not be allowed at trial. This could allow the State to obtain a conviction against you. Trust the representation of Finebloom, Haenel & Higgins to represent your interest in your Plant City dui case. Our firm consists of dedicated and professional dui lawyers who want to assist you! We have experience handing dui cases in the Plant City area. We help each individual explore the options available to them in order to obtain the best result for every unique situation. 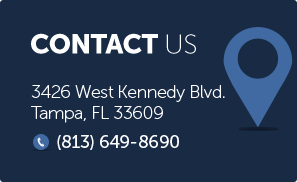 Call us now at 813-200-4412 and speak with an attorney now. We are available 24/7 for consultation.